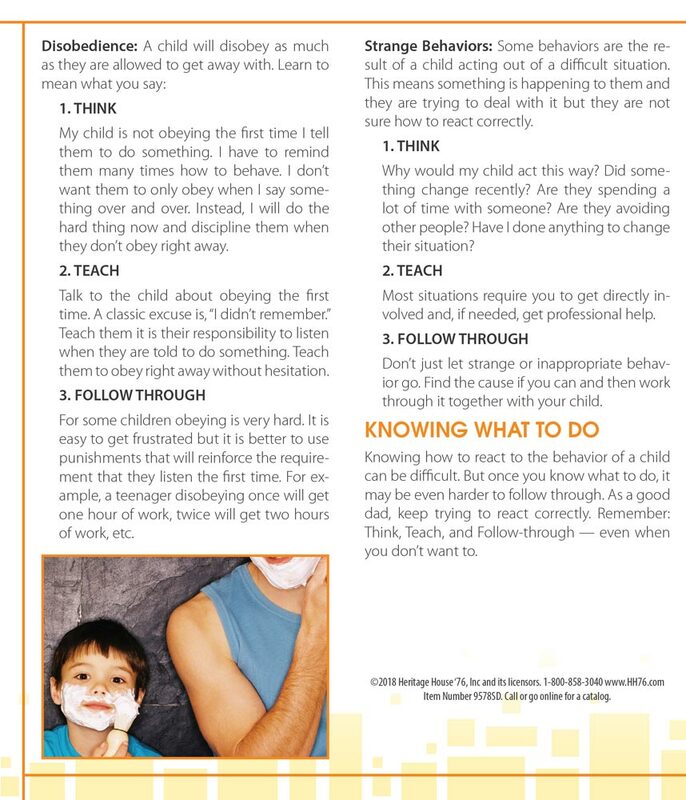 Description: There’s one thing about child-rearing you can be sure of — your child will test you. The worst thing a father can do is react out of anger or frustration. 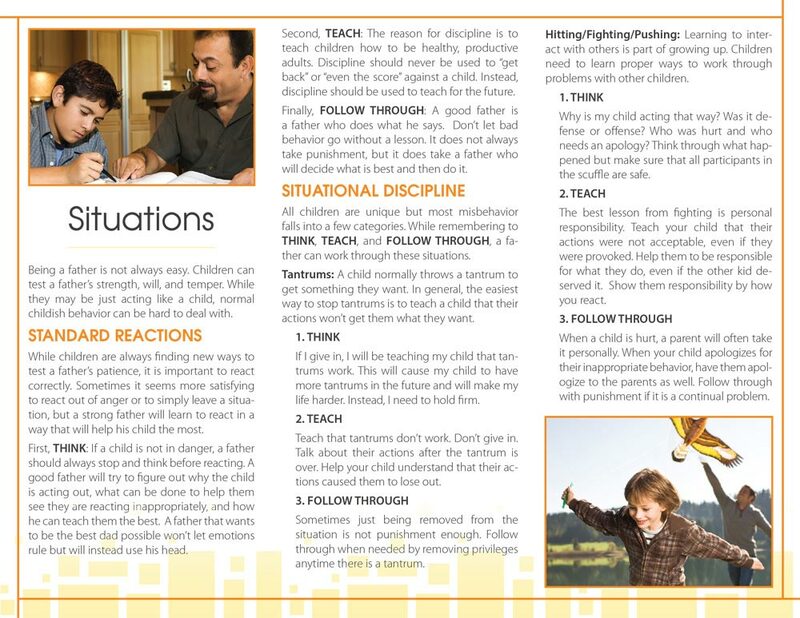 Situational Discipline discusses how to respond to tantrums, unacceptable behaviors, and disobedience through three easy and important steps: 1. Think, 2. Teach, and 3. Follow-Through. Also covered are strange or unusual behaviors and the questions that should be asked to discover the cause of the behavior. Easily read and understood.